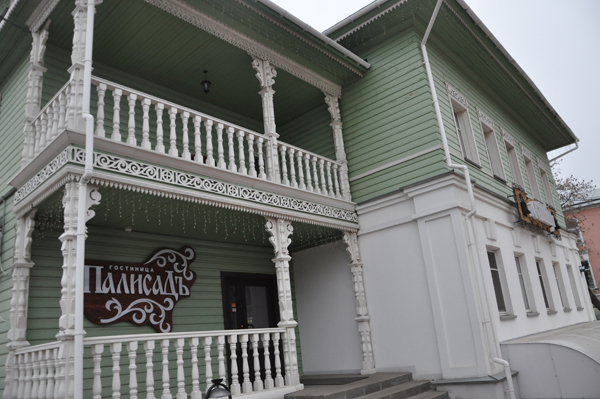 Location: The hotel is situated in the historical centre of Vologda just a few steps from the Volodga Kremlin and from the Vologda Lace Museum. Hotel Facilities: cafe, sauna, billiards, conference room, Wi-Fi. Rooms: 8 standard single rooms, 10 standard twin rooms, 5 standard double rooms, 6 twin/double business class rooms, 1 superior room, 4 junior suites, 1 family room. Room Facilities: private bathroom, telephone, TV, Wi-Fi, hairdryer.